My girlfriend is visiting from the USA, so I obviously have to take some time out of the city and show her the incredible Scottish countryside (backstory). We are heading to Skye next weekend and I am organising a scenic route there and back going via Glencoe. BUT, I'm worried I miss out some absolute must sees and must dos. Hi @emmagaffer we visited Skye last year - I wrote a wee guide to where we stayed and the main things to do - especially if you only have a day or two like we did. 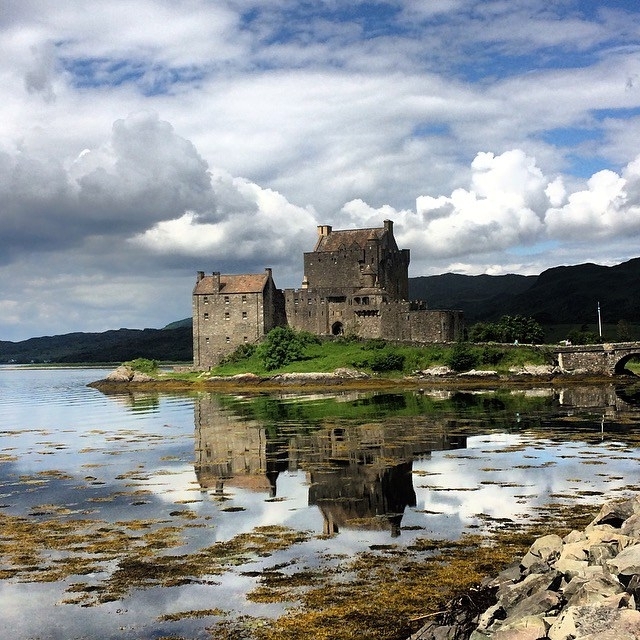 You really can't miss out on driving through Glencoe on the way up, with a stop at Eilean Donan Castle - one of Scotland's most iconic views. Visit Scotland actually have a guide to filming locations in Scotland which might be useful. Hi eliseandlife.. The Old man of storr and the quiraing are two of the most popular destiations for film locations. At the Storr, there is a car park which usually has availability. The Quiraing also has a car park and then, it's like a 3-4 hour walk to the top of the Quiraing. I hope this is helpful! @VisitScotlandRuaridhis quite right about the Old Man of Storr and the Quiraing, but also seek out the Fairy Pools in Glenbrittle, Fairy Glen near Uig, and Coral beach nr Dunvegan. A must do would also be Loch Coruisk, accessible via boat trip from Elgol. Now THAT is a truly magnificent location, and you might come across some dolphins, whales or basking sharks on the trip over. The drive to Elgol alone is worth doing, I'm away there in 2 weeks. One thing that lots miss is the small ferry crossing to Kylerhea from Glenelg, not that that far Eilean Donan (and an amazing drive), well worth doing, runs Summer only and is the last manually operated turntable ferry in Scotland, also hapens to be set in amazing scenery, unless you are going via Mallaig and sailing to Armadale, definitely do this instead of that (to my eyes) eyesore bridge at Kyle! here's a link to it... actually I can't post you a link it won't allow me (! ), just google "skye ferry kylerhea" enjoy. @Pete_Rowbottom, your bang on about the ferry from Glenelg to kylerhea is quite something as is the road from Kylerhea down to the main road. As you head up the hill after coming over near the top on the right is the entry to the Otter sanctuary. DO stop here as the view from the car pack looking down onto the ferry and the stretch of water is really something. A short walk from the car park is a hide where you can sit and watch for Otters or other wildlife such as grey seals. Just remember you need patience and a wee bit of luck to see otters it's not a sure thing. Drive up through Glencoe but take a left at Fort William and head up to Mallaig. On the way you'll get to stop at amazing places like the Glenfinnan Monument (and Harry Potter viaduct!) and beaches like Camusdarach/Arisaig, which look like they should be in the Southern Hemisphere somewhere! The closest I've ever been to stag was on this road - he was ginormous and stopped right next to our car! Once you're at Mallaig you can jump on the ferry over to Armadale (only takes about 30 mins) which is down the south of the island. - Elgol - really recommend you do the boat trip to Loch Coruisk. It's totally stunning and you get to see lots of seals and other cute things on the way! On the way home I'd suggest coming over the bridge, visiting Eilean Donan Castle but also stopping in at Plockton - a gorgeous beach town filled with palm trees! I joined this website only 15 minutes ago and already I'm impressed and amazed by the amount of enthusiasm and knowledge contributors have about Scotland. Thank you to everyone - Skye is now firmly on my list of places to visit. Welcome to the Community @SilverSurfer, its great to hear that you're enjoying being here. I hope you make it to Skye very soon! As a foodie, a Skye must do is having Loch Harport Oysters either in Portree or at source at the Oyster Shed near Talisker distillery. Having had a number of oysters around the world, I can safely say that these oysters are the best I've ever had. I love the advice on here. I am planning on visiting Scotland in November 2017, and was wondering if its advisable to visit Isle of Skye at that time of the year? I was doing a lot of online research, and its not very clear whats the best way to get there because the ferry from Mallaig seems to stop running after October.